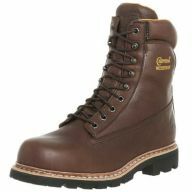 Corey's Bootery carries a wide selection of Chippewa Boots and is sure to have one that meets your needs. 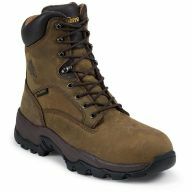 Chippewa offers the following options in boots: waterproof, steel toe, composite toe, insulated, non insulated and styles in both 6 inch and 8 inch heights. 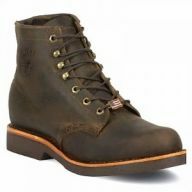 Chippewa offers many styles made in the U.S.A. as well as some made in China. Both the U.S. made and China made boots are manufactured with the highest quality materials and soles. 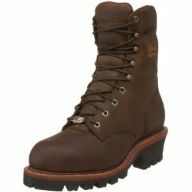 Corey's Bootery knows boots, this is why we have choosen to carry Chippewa. Most styles are of Goodyear welt construction which provides more support, durability, and allows them to be completely repairable. Many other brands available at lower costs do not offer this type of construction which reduces durability, comfort, and the ability for them to be repaired. A composite toe has great benefits as it reduces the weight of the boot and does not transfer heat or cold like the traditional steel toe. Other brands tend to run narrower and not be available in wider widths, especially in steel toe styles. Chippewa offers wide widths in almost every style they manufacture. This allows Corey's Bootery's Certified Pedorthists to ensure the best fitment possible for your feet. Their is nothing worse than a steel toe rubbing, pinching, or cramming your toes during a long work day. 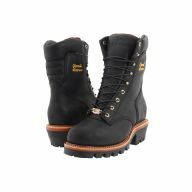 Chippewas insulated styles typically come with a 400 gram Thinsulate linning, and Chippatex waterproofing. Chippatex is almost identical to goretex and provides a completely waterproof seal for the life of the boot while allowing the foot to breath. This is extremely important as the average foot perspires about a cup of sweat per day. Call Corey's Bootery today for more information or questions on any of the Chippewa boots that you see here or elsewhere. 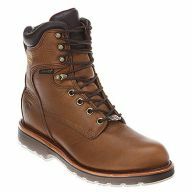 Corey's Bootery is able to order any of the styles made by Chippewa and are happy to get you the boot you desire at no additional charge.